The debate rages on but a recent study in Science Daily analyzes conventional versus organic farming and the results went beyond environmental concerns. In the tug of war over whether organic farming is really better than conventional chemical-laden farming, a new study in the online peer-reviewed journal PLoS One comes out solidly in support of the benefits of organic. Self-described as the most comprehensive study of its kind, researchers from Washington State University found that commercial organic farms produce was more flavorful and nutritious strawberries, while leaving the soil healthier and genetically diverse. 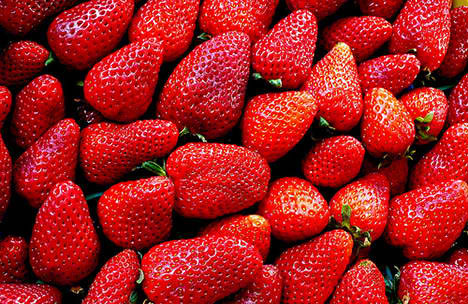 In coming to that conclusion, the scientists analyzed 31 chemical and biological soil properties, soil DNA, as well as the taste, nutrition and quality of three strawberry varieties on 13 organic farms and 13 chemical farms in California, where 90% of the US strawberry crop is grown. The language surrounding olive oil is can be quite confusing. From virgin to extra virgin, cold pressed, unfiltered, etc. And to add to the confusion, a bottle of oil containing as little as 10% olive oil could call itself olive oil. Reading labels is a must but at $15-20 a bottle for most oils it is a must to know what you are buying. Julianna Barbassa delivers the latest news on the new regulations by the USDA to clarify olive oil confusion.